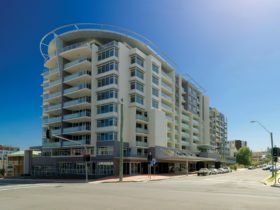 Mantra Wollongong is conveniently located in the CBD within close proximity to Wollongong Hospital, all major public transport as well as the city’s main shopping and dining precinct. 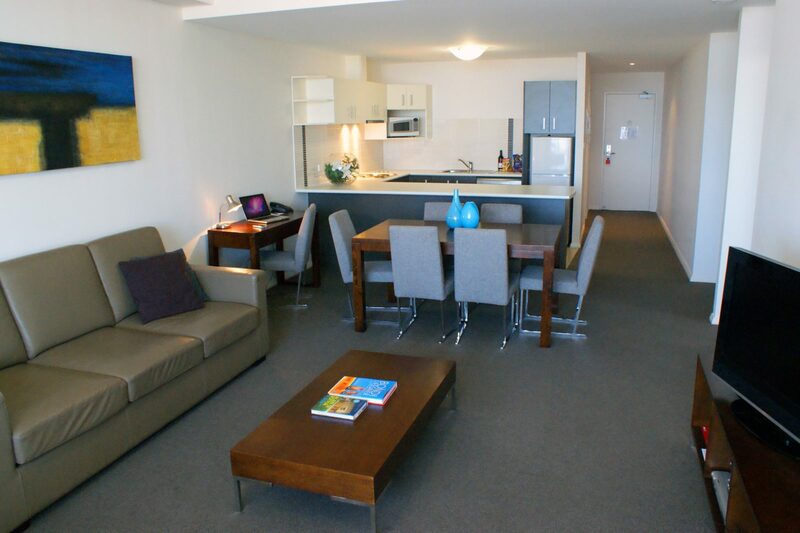 Whether you choose a One or Two Bedroom Apartment, you can enjoy air-conditioning, Foxtel and tea and coffee making facilities. In the kitchen and laundry there’s everything you’d expect and many rooms offer ocean views and balconies. 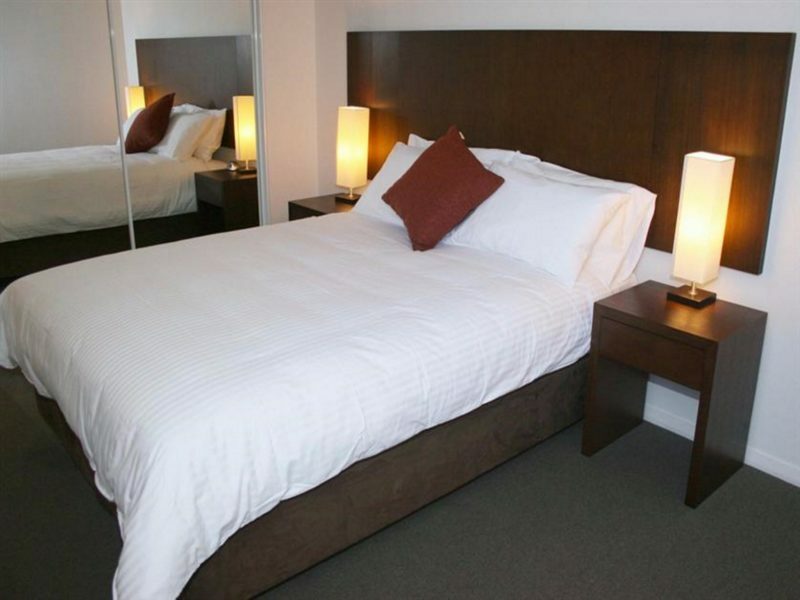 Enjoy the convenience of free on-site parking, wireless internet, a fully-equipped gymnasium and many more elements that go together to make your stay in Wollongong perfect. 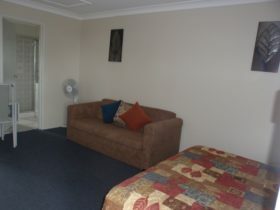 The property also features on-site meeting spaces and concierge services. Unbeatable views simply make this Apartment a breathtaking choice. 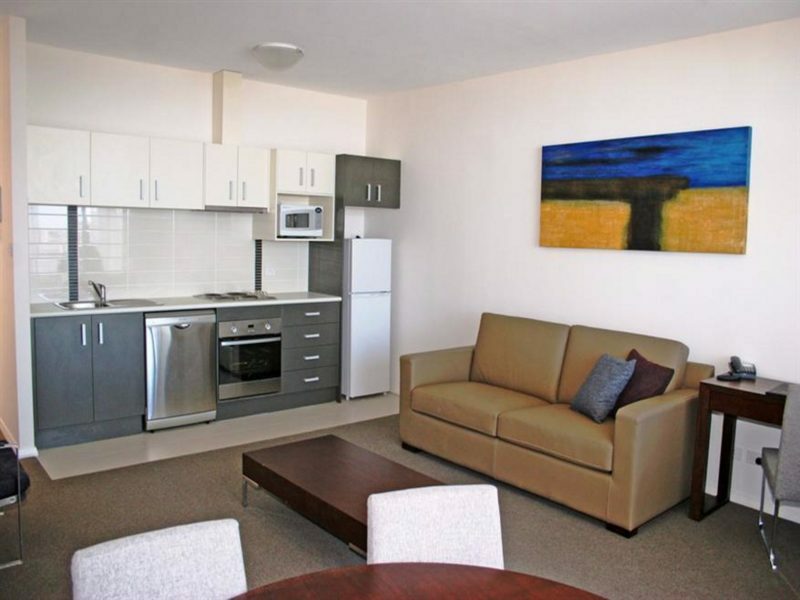 You’ll be on a high in this top floor Apartment that offers a stunning panorama across City Beach to Five Islands. You’re going to love the facilities, why not whip a meal in your self-contained kitchen and enjoy it as you drink in the views from your balcony? You’ll be feeling sky-high in your top floor apartment as you take in the amazing sights across City Beach and Five Islands. There’s all the room you need to spread out in these oversized apartments – just perfect if you are travelling with a group or the family. After a long day there’s no need to go out, cook up a storm in your kitchen and take your time to enjoy it in your dining area. Whether you’re in town on business, taking a break or just passing through; this One Bedroom Apartment is absolutely perfect as your base. You’ll love the generous space and you’ll find everything you need to prepare for your day and when the day is done there’s all you could want to unwind and relax. You’ll just love relaxing on your balcony after a long day. 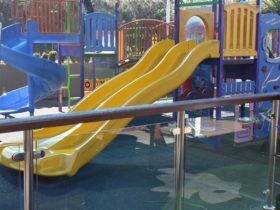 You’ve absolutely the facilities and your neat outdoor setting where you can enjoy a drink or a meal prepared in your fully self-contained kitchen. Afterwards catch up with your favourite shows on Foxtel or you can opt for a movie on DVD. 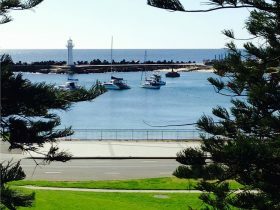 Bring along your friends – or the family, they’ll be overjoyed with this Two Bedroom Wollongong Apartment and its captivating views. 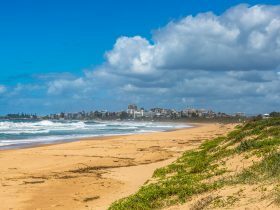 Create a gourmet meal in your self-contained kitchen or order in and enjoy it on your balcony, savouring the sights of Wollongong. With two bedrooms and two bathrooms you can’t go wrong.